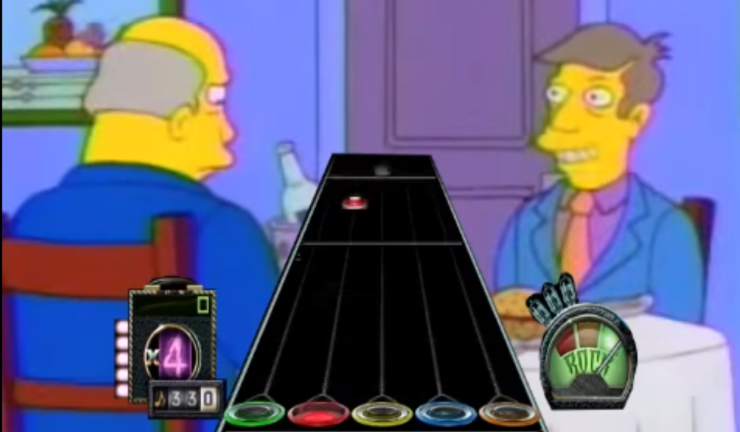 The Steamed Hams Scene From The Simpson But It's A Guitar Hero Song | OhGizmo! The Simpsons used to be great, we got hilarious episodes like Homers Enemy, Mr. Plow, and Marge v. The Monorail. But without a doubt, one of the funniest moments is when Principal Skinner invites Superintendent Chalmers over for dinner and makes a mess out of everything. Apparently, the scene was so good that someone decided to make it into a custom song for Guitar Hero, complete with power chords and all. I know it sounds crazy, but I’m pretty sure this is why the internet exists, and this might be the best thing I’ve seen all week.